T’ai chi ch’uan or Taijiquan, often shortened to t’ai chi, taiji or tai chi in English usage, is a type of internal Chinese martial art practiced for both its defense training and its health benefits. It is also typically practiced for a variety of other personal reasons: its hard and soft martial art technique, demonstration competitions, and longevity. As a result, a multitude of training forms exist, both traditional and modern, which correspond to those aims. Some of t’ai chi ch’uan’s training forms are especially known for being practiced at what most people categorize as slow movement. The term “t’ai chi ch’uan” translates as “supreme ultimate fist”, “boundless fist”, or “great extremes boxing”. The chi in this instance is the Wade-Giles transliteration of the Pinyin jí, and is distinct from qì (ch’i, “life energy”). The concept of the taiji (“supreme ultimate”), in contrast with wuji (“without ultimate”), appears in both Taoist and Confucian Chinese philosophy, where it represents the fusion or mother of Yin and Yang into a single ultimate, represented by the taijitu symbol. T’ai chi ch’uan theory and practice evolved in agreement with many Chinese philosophical principles, including those of Taoism and Confucianism. T’ai chi ch’uan training involves five elements, taolu (solo hand and weapons routines/forms), neigong & qigong (breathing, movement and awareness exercises and meditation), tuishou (response drills) and sanshou (self defence techniques). While t’ai chi ch’uan is typified by some for its slow movements, many t’ai chi styles (including the three most popular – Yang, Wu, and Chen) – have secondary forms of a faster pace. 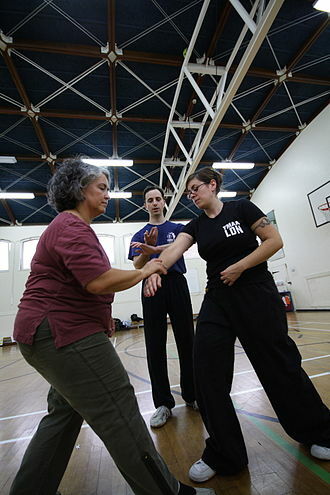 Some traditional schools of t’ai chi teach partner exercises known as tuishou (“pushing hands”), and martial applications of the taolu‘s (forms’) postures. In China, t’ai chi ch’uan is categorized under the Wudang grouping of Chinese martial arts — that is, the arts applied with internal power. Although the Wudang name falsely suggests these arts originated at the so-called Wudang Mountain, it is simply used to distinguish the skills, theories and applications of neijia (“internal arts”) from those of the Shaolin grouping, waijia (“hard” or “external”) martial art styles. 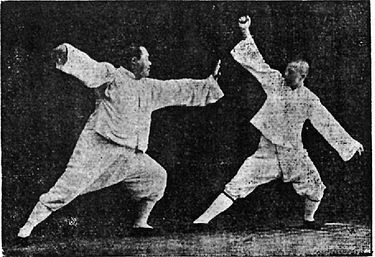 Since the first widespread promotion of t’ai chi ch’uan’s health benefits by Yang Shaohou, Yang Chengfu, Wu Chien-ch’uan, and Sun Lutang in the early 20th century, it has developed a worldwide following among people with little or no interest in martial training, for its benefit to health and health maintenance. Medical studies of t’ai chi support its effectiveness as an alternative exercise and a form of martial arts therapy. It is purported that focusing the mind solely on the movements of the form helps to bring about a state of mental calm and clarity. Besides general health benefits and stress management attributed to t’ai chi ch’uan training, aspects of traditional Chinese medicine are taught to advanced t’ai chi ch’uan students in some traditional schools. Some other forms of martial arts require students to wear a uniform during practice. In general, t’ai chi ch’uan schools do not require a uniform, but both traditional and modern teachers often advocate loose, comfortable clothing and flat-soled shoes. The physical techniques of t’ai chi ch’uan are described in the “Tai chi classics“, a set of writings by traditional masters, as being characterized by the use of leverage through the joints based on coordination and relaxation, rather than muscular tension, in order to neutralize, yield, or initiate attacks. The slow, repetitive work involved in the process of learning how that leverage is generated gently and measurably increases, opens the internal circulation (breath, body heat, blood, lymph, peristalsis, etc.). Health: An unhealthy or otherwise uncomfortable person may find it difficult to meditate to a state of calmness or to use t’ai chi ch’uan as a martial art. T’ai chi ch’uan’s health training, therefore, concentrates on relieving the physical effects of stress on the body and mind. For those focused on t’ai chi ch’uan’s martial application, good physical fitness is an important step towards effective self-defense. Meditation: The focus and calmness cultivated by the meditative aspect of t’ai chi ch’uan is seen as necessary in maintaining optimum health (in the sense of relieving stress and maintaining homeostasis) and in application of the form as a soft style martial art. Martial art: The ability to use t’ai chi ch’uan as a form of self-defense in combat is the test of a student’s understanding of the art. T’ai chi ch’uan is the study of appropriate change in response to outside forces, the study of yielding and “sticking” to an incoming attack rather than attempting to meet it with opposing force. The use of t’ai chi ch’uan as a martial art is quite challenging and requires a great deal of training. Despite having a single Chinese spelling, 太極拳, there are two different spellings in English usage, one derived from the Wade-Giles and the other from the Pinyin transliteration, with the West mostly being familiar with the Wade-Giles, t’ai chi ch’uan. This name is often shortened by Westerners to “t’ai chi” (or “tai chi,” a common misspelling). This shortened name is the same as that of t’ai chi philosophy, sometimes resulting in confusion between the two. The chi in the martial art’s name can also be mistaken for ch’i (氣), especially as ch’i is involved in the practice of t’ai chi ch’uan. The ‘up-to-date’ Pinyin transliteration, taijiquan, is not subject to such misinterpretation, as the spelling of the hanzi 極, ji is quite distinct from that of 氣, qi. “T’ai chi ch’uan” (including “t’ai chi” and their misspellings) still remains the popular spelling used by the general public today, however, many professional practitioners, masters and martial arts bodies (such as the IWUF) write it as taijiquan. What is now known as “t’ai chi ch’uan” only appears to have received this appellation from around the mid 1800s. There was a scholar in the Imperial Court by the name of Ong Tong He who witnessed a demonstration by Yang Luchan (“Unbeatable Yang”). Afterwards Ong wrote: “Hands holding Taiji shakes the whole world, a chest containing ultimate skill defeats a gathering of heroes.” This was the time when Yang Luchan made the Chen clan’s martial art known to the world through his own form (“Yang family style”). Before this time the Art had no name. It was simply an unusual martial art practiced by a few. Jiang Fa passed down the Art to Chen Qingping in Zhaobao Town and Chen Changxing in Chenjiagou. Before the time of Yang Luchan, the art appears to have been generically described by outsiders as zhan quan (沾拳, “touch boxing”), mian quan (绵拳, “soft boxing”) or shisan shi (十三式, “the thirteen techniques”). In modern usage the term 太極,t’ai chi / taiji (unless further qualified as in “taiji philosophy” or “taiji diagram”) is now commonly understood, both in the West and in mainland China, to refer to the martial art and exercise system. However, the terms has its origins in Chinese philosophy. The word taiji translates to “great pole/goal” or “supreme ultimate”, and is believed to be a pivotal, spiraling, or coiling force that transforms the neutrality of wuji to a state of polarity depicted by the taijitu. T’ai chi ch’uan / taijiquan is thus symbolically represented by a state between wuji and the polar “ying and yang“, not by the actual yin and yang symbol, as is frequently misinterpreted. The combination of the term taiji and quan (“fist”), produces the martial art’s name taijiquan or “taiji fist“, showing the close link and use of the taiji concept in the martial art. The practice of taijiquan is meant to be in harmony with taiji philosophy, utilising and manipulating qi via taiji, to produce great effect with minimal effort. The appropriateness of this more recent appellation is seen in the oldest literature preserved by these schools where the art is said to be a study of yin (receptive) and yang (active) principles, using terminology found in the Chinese classics, especially the I Ching and the Tao Te Ching. The order of verifiable age is as listed above. The order of popularity (in terms of number of practitioners) is Yang, Wu, Chen, Sun, and Wu/Hao. 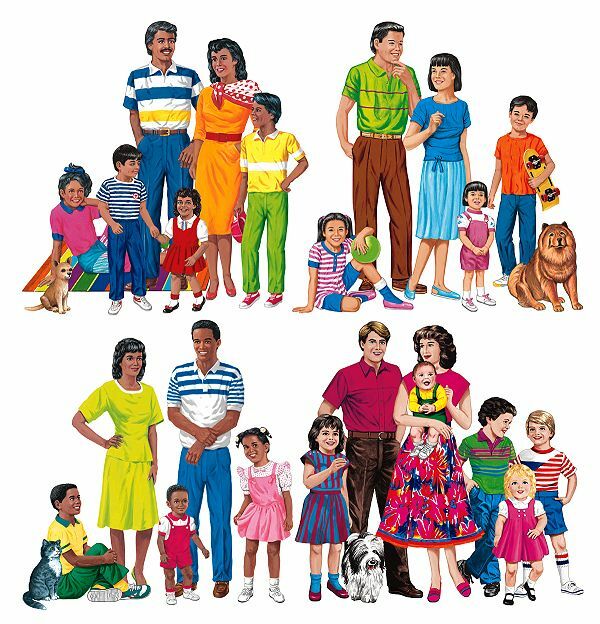 The major family styles share much underlying theory, but differ in their approaches to training. There are now dozens of new styles, hybrid styles, and offshoots of the main styles, but the five family schools are the groups recognized by the international community as being the orthodox styles. 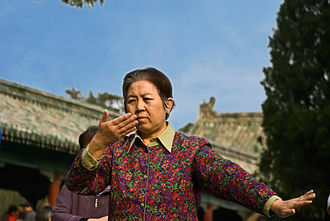 Other important styles are Zhaobao t’ai chi ch’uan, a close cousin of Chen-style, which has been newly recognized by Western practitioners as a distinct style, and the Fu style, created by Fu Chen Sung, which evolved from Chen, Sun and Yang styles, and also incorporates movements from Baguazhang (Pa Kua Chang). The differences between the different styles range from varying speeds to the very way in which the movements are performed. For example, the form “Parting the wild horse’s mane” in Yang-style does not at all resemble the very same movement in Sun-style. Also, the Sun 73 forms take as long to perform as the Yang 24 forms. All existing styles can be traced back to the Chen-style, which had been passed down as a family secret for generations. The Chen family chronicles record Chen Wangting, of the family’s 9th generation, as the inventor of what is known today as t’ai chi ch’uan. Yang Luchan became the first person outside the family to learn t’ai chi ch’uan. His success in fighting earned him the nickname Yang Wudi, which means “Unbeatable Yang”, and his fame and efforts in teaching greatly contributed to the subsequent spreading of t’ai chi ch’uan knowledge. When tracing t’ai chi ch’uan’s formative influences to Taoist and Buddhist monasteries, there seems little more to go on than legendary tales from a modern historical perspective, but t’ai chi ch’uan’s practical connection to and dependence upon the theories of Sung dynasty Neo-Confucianism (a conscious synthesis of Taoist, Buddhist and Confucian traditions, especially the teachings of Mencius) is claimed by some traditional schools. 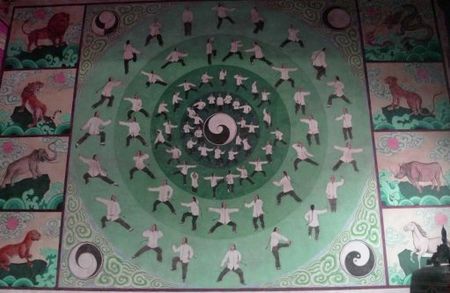 T’ai chi ch’uan’s theories and practice are believed by these schools to have been formulated by the Taoist monk Zhang Sanfeng in the 12th century, at about the same time that the principles of the Neo-Confucian school were making themselves felt in Chinese intellectual life. However, modern research casts serious doubts on the validity of those claims, pointing out that a 17th-century piece called “Epitaph for Wang Zhengnan” (1669), composed by Huang Zongxi (1610-1695 A.D.), is the earliest reference indicating any connection between Zhang Sanfeng and martial arts whatsoever, and must not be taken literally but must be understood as a political metaphor instead. Claims of connections between t’ai chi ch’uan and Zhang Sanfeng appear no earlier than the 19th century. Master Choy Hok Pang, a disciple of Yang Chengfu, was the first known proponent of t’ai chi ch’uan to openly teach in the United States in 1939. Subsequently, his son and student Master Choy Kam Man emigrated to San Francisco from Hong Kong in 1949 to teach t’ai chi ch’uan in San Francisco’s Chinatown. Choy Kam Man taught until he died in 1994. This lineage tree is not comprehensive, but depicts those considered the ‘gate-keepers’ & most recognised individuals in each generation of the respective styles. Although many styles were passed down to respective descendants of the same family, the lineage focused on is that of the martial art & its main styles, not necessarily that of the families. Each (coloured) style depicted below, has a lineage tree on its respective article page that is focused on that specific style, showing a greater insight into the highly significant individuals in its lineage. The Cheng Man-ch’ing (Zheng Manqing) and Chinese Sports Commission short forms are derived from Yang family forms, but neither is recognized as Yang family t’ai chi ch’uan by standard-bearing Yang family teachers. The Chen, Yang, and Wu families are now promoting their own shortened demonstration forms for competitive purposes. Outdoor practice in Beijing‘s Temple of Heaven. T’ai chi ch’uan classes with purely a health emphasis have become popular in hospitals, clinics, and community and senior centers in the last twenty years or so, as baby boomers age and the art’s reputation as a low-stress training for seniors became better known. 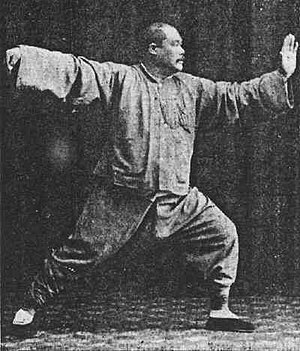 As a result of this popularity, there has been some divergence between those that say they practice t’ai chi ch’uan primarily for self-defense, those that practice it for its aesthetic appeal (see wushu below), and those that are more interested in its benefits to physical and mental health. The wushu aspect is primarily for show; the forms taught for those purposes are designed to earn points in competition and are mostly unconcerned with either health maintenance or martial ability. More traditional stylists believe the two aspects of health and martial arts are equally necessary: the yin and yang of t’ai chi ch’uan. The t’ai chi ch’uan “family” schools, therefore, still present their teachings in a martial art context, whatever the intention of their students in studying the art. In order to standardize t’ai chi ch’uan for wushu tournament judging, and because many t’ai chi ch’uan teachers had either moved out of China or had been forced to stop teaching after the Communist regime was established in 1949, the government sponsored the Chinese Sports Committee, who brought together four of their wushu teachers to truncate the Yang family hand form to 24 postures in 1956. They wanted to retain the look of t’ai chi ch’uan, but create a routine that would be less difficult to teach and much less difficult to learn than longer (in general, 88 to 108 posture), classical, solo hand forms. In 1976, they developed a slightly longer form also for the purposes of demonstration that still would not involve the complete memory, balance, and coordination requirements of the traditional forms. This became the Combined 48 Forms that were created by three wushu coaches, headed by Men Hui Feng. The combined forms were created based on simplifying and combining some features of the classical forms from four of the original styles: Chen, Yang, Wu, and Sun. As t’ai chi ch’uan again became popular on the mainland, more competitive forms were developed to be completed within a six-minute time limit. In the late-1980s, the Chinese Sports Committee standardized many different competition forms. They developed sets to represent the four major styles as well as combined forms. 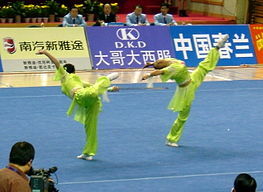 These five sets of forms were created by different teams, and later approved by a committee of wushu coaches in China. All sets of forms thus created were named after their style, e.g., the “Chen-style national competition form” is the 56 Forms, and so on. The combined forms are The 42-Form or simply the Competition Form. Another modern form is the “97 movements combined t’ai chi ch’uan form”, created in the 1950s; it contains characteristics of the Yang, Wu, Sun, Chen, and Fu styles blended into a combined form. The wushu coach Bow Sim Mark is a notable exponent of the “67 combined form”. These modern versions of t’ai chi ch’uan (often listed as the pinyin romanization “taijiquan” among practitioners, teachers and masters) have since become an integral part of international wushu tournament competition, and have been featured in popular movies, starring or choreographed by well-known wushu competitors, such as Jet Li and Donnie Yen. In the 11th Asian Games of 1990, wushu was included as an item for competition for the first time with the 42-Form being chosen to represent t’ai chi ch’uan. The International Wushu Federation (IWUF) applied for wushu to be part of the Olympic games, but will not count medals. Practitioners also test their practical martial skills against students from other schools and martial arts styles in tuishou (“pushing hands”) and sanshou competition. Traditional schools also emphasize that one is expected to show wude (“martial virtue/heroism”), to protect the defenseless, and show mercy to one’s opponents. The core training involves two primary features: the first being taolu (solo “forms”), a slow sequence of movements which emphasize a straight spine, abdominal breathing and a natural range of motion; the second being different styles of tuishou (“pushing hands”) for training movement principles of the form with a partner and in a more practical manner. The taolu (solo “forms”) should take the students through a complete, natural range of motion over their center of gravity. Accurate, repeated practice of the solo routine is said to retrain posture, encourage circulation throughout the students’ bodies, maintain flexibility through their joints, and further familiarize students with the martial application sequences implied by the forms. The major traditional styles of t’ai chi have forms that differ somewhat in terms of aesthetics, but there are also many obvious similarities that point to their common origin. The solo forms – empty-hand and weapon – are catalogs of movements that are practiced individually in pushing hands and martial application scenarios to prepare students for self-defense training. In most traditional schools, different variations of the solo forms can be practiced: fast/slow, small-circle / large-circle, square/round (which are different expressions of leverage through the joints), low-sitting / high-sitting (the degree to which weight-bearing knees are kept bent throughout the form), for example. Breathing exercises; neigong (“internal skill”) or, more commonly, qigong (“life energy cultivation”) are practiced to develop qi (“life energy”) in coordination with physical movement and zhan zhuang (“standing like a post”) or combinations of the two. These were formerly taught only to disciples as a separate, complementary training system. In the last 60 years they have become better known to the general public. Qigong involves coordinated breathing, movement, and awareness used for exercise, healing, and meditation. While many scholars and practitioners consider t’ai chi ch’uan to be a type of qigong, the two are commonly distinguished as separate but closely related practices, with qigong playing an important role in training for t’ai chi ch’uan, and with many ta’i chi ch’uan movements performed as part of qigong practice. The focus of qigong is typically more on healing or meditation than martial applications. T’ai chi ch’uan’s martial aspect relies on sensitivity to the opponent’s movements and center of gravity dictating appropriate responses. Effectively affecting or “capturing” the opponent’s center of gravity immediately upon contact is trained as the primary goal of the martial t’ai chi ch’uan student. The sensitivity needed to capture the center is acquired over thousands of hours of first yin (slow, repetitive, meditative, low-impact) and then later adding yang (“realistic,” active, fast, high-impact) martial training through taolu (“forms”), tuishou (“pushing hands”), and sanshou (“sparring”). T’ai chi ch’uan trains in three basic ranges: close, medium and long, and then everything in between. Pushes and open-hand strikes are more common than punches, and kicks are usually to the legs and lower torso, never higher than the hip, depending on style. The fingers, fists, palms, sides of the hands, wrists, forearms, elbows, shoulders, back, hips, knees, and feet are commonly used to strike, with strikes to the eyes, throat, heart, groin, and other acupressure points trained by advanced students. Chin na, which are joint traps, locks, and breaks are also used. Most t’ai chi ch’uan teachers expect their students to thoroughly learn defensive or neutralizing skills first, and a student will have to demonstrate proficiency with them before offensive skills will be extensively trained. In addition to the physical form, martial t’ai chi ch’uan schools also focus on how the energy of a strike affects the other person. A palm strike that looks to have the same movement may be performed in such a way that it has a completely different effect on the target’s body. A palm strike that could simply push the opponent backward, could instead be focused in such a way as to lift the opponent vertically off the ground, breaking his/her center of gravity; or it could terminate the force of the strike within the other person’s body with the intent of causing internal damage. Most aspects of a trainee’s t’ai chi ch’uan development are meant to be covered within the partnered practice of tuishou, and so, sanshou (“sparring”) is not as commonly used as a method of training, but more advanced students sometimes do practice by sanshou. Sanshou is more common to tournaments such as wushu tournaments. Before t’ai chi ch’uan’s introduction to Western students, the health benefits of t’ai chi ch’uan were largely explained through the lens of traditional Chinese medicine, which is based on a view of the body and healing mechanisms not always studied or supported by modern science. Today, t’ai chi ch’uan is in the process of being subjected to rigorous scientific studies in the West. Now that the majority of health studies have displayed a tangible benefit in some areas to the practice of t’ai chi ch’uan, health professionals have called for more in-depth studies to determine mitigating factors such as the most beneficial style, suggested duration of practice to show the best results, and whether t’ai chi ch’uan is as effective as other forms of exercise. 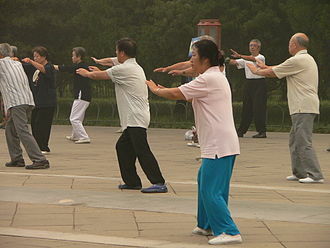 Researchers have found that intensive t’ai chi ch’uan practice shows some favorable effects on the promotion of balance control, flexibility, cardiovascular fitness, and has shown to reduce the risk of falls in both healthy elderly patients, and those recovering from chronic stroke, heart failure, high blood pressure, heart attacks, multiple sclerosis, Parkinson’s, Alzheimer’s and fibromyalgia. T’ai chi ch’uan’s gentle, low impact movements burn more calories than surfing and nearly as many as downhill skiing. T’ai chi ch’uan, along with yoga, has reduced levels of LDLs 20–26 milligrams when practiced for 12–14 weeks. A thorough review of most of these studies showed limitations or biases that made it difficult to draw firm conclusions on the benefits of t’ai chi ch’uan. A later study led by the same researchers conducting the review, found that t’ai chi ch’uan (compared to regular stretching) showed the ability to greatly reduce pain and improve overall physical and mental health in people over 60 with severe osteoarthritis of the knee. In addition, a pilot study, which has not been published in a peer-reviewed medical journal, has found preliminary evidence that t’ai chi ch’uan and related qigong may reduce the severity of diabetes. In a randomized trial of 66 patients with fibromyalgia, the t’ai chi intervention group did significantly better in terms of pain, fatigue, sleeplessness and depression than a comparable group given stretching exercises and wellness education. A recent study evaluated the effects of two types of behavioral intervention, t’ai chi ch’uan and health education, on healthy adults, who, after 16 weeks of the intervention, were vaccinated with VARIVAX, a live attenuated Oka/Merck Varicella zoster virus vaccine. The t’ai chi ch’uan group showed higher and more significant levels of cell-mediated immunity to varicella zoster virus than the control group that received only health education. It appears that t’ai chi ch’uan augments resting levels of varicella zoster virus-specific cell-mediated immunity and boosts the efficacy of the varicella vaccine. T’ai chi ch’uan alone does not lessen the effects or probability of a shingles attack, but it does improve the effects of the varicella zoster virus vaccine. There have also been indications that t’ai chi ch’uan might have some effect on noradrenaline and cortisol production with an effect on mood and heart rate. However, the effect may be no different than those derived from other types of physical exercise. In one study, t’ai chi ch’uan has also been shown to reduce the symptoms of Attention Deficit and Hyperactivity Disorder (ADHD) in 13 adolescents. The improvement in symptoms seem to persist after the t’ai chi ch’uan sessions were terminated. Most practitioners accept the martial origins of the art. As a martial art, t’ai chi ch’uan had traditionally been held in high esteem within the Chinese martial arts community. However, due to its increased popularity amongst various segments of the population and shifting emphasis on health rather than self-defense, the fighting effectiveness of the practice in the modern era is debated. The question of martial effectiveness of t’ai chi ch’uan is part of the larger narrative concerning the effectiveness of form training in traditional Chinese martial arts as well as the difference between traditional Chinese martial arts and the development of the sport of Chinese martial arts (wushu). In general, such questions are problematic, since the concept of martial arts has changed. Martial arts, once considered to be a matter of life and death, are now a contest between individuals. For some t’ai chi ch’uan practitioners who follow a traditional training method, the martial arts component still exists. Anecdotal evidence and expert testimonials are presented to support this view. Conversely, opponents point to the lack of systematic and documented evidence proving that t’ai chi ch’uan is an effective modern martial art. Historically, within China and prior to the establishment of the People’s Republic, the issue of effectiveness was settled in private matches between martial artists. 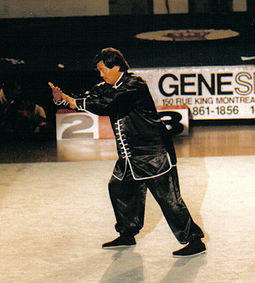 From most available records, the reputation of t’ai chi ch’uan was held in high regard. For example, Yang Chengfu (1883–1936), Sun Lutang (1861–1932) and Chen Fake (1887–1957) are usually acknowledged as martial artists of the first rank. In the modern era, private challenges are no longer used to settle such disputes. The reputation of t’ai chi ch’uan as an effective martial art is still evolving. Its effectiveness is demonstrated by stories of t’ai chi ch’uan practitioners overcoming various challenges. For example, in 1945, Hu Yuen Chou (known in Hong Kong as Woo Van Cheuk or Wu Van Cheuk), a student of Yang Cheng Fu, defeated a Russian boxer by TKO in a full-contact match in Fut San, China. Other supporting arguments include the positive comments from martial artists of different styles such as Wong Kiew Kit (Southern Shaolin), Masutatsu ‘Mas’ Oyama (founder of Kyokushinkai karate) and Bruce Lee (Wing Chun, Jeet Kung Do). Opponents of t’ai chi ch’uan as an effective martial art point to the lack of success of t’ai chi ch’uan in the current competitive arena of mixed martial arts. However, despite its primarily defensive philosophy, and in contrast to the ‘ground and pound’ tactics often favored in MMA, offensive t’ai chi ch’uan often relies upon singular, crippling precision strikes at soft and vulnerable parts of the body, such as the throat and stomach, in order to disable opponents – an approach which is by definition considered illegal in modern competitions. The question may therefore not be one of effectiveness, but of safety in the ring. During the Qing dynasty, a man named Wang Yuanwai living in Beipinggao village (about 10 km East of Chenjiagou), was threatened with death by a gang of highwaymen with bladed weapons, unless he surrendered his valuables. He sent for assistance from Chen Suole (see lineage tree above), who was away according to his sons Chen Shenru and Chen Xunru, who, despite being only around fifteen and sixteen years old, volunteered their own help instead. They convinced the messenger to tell Wang Yuanwai to give the bandits liquor, discussed a plan and that night, traveled to the Wang residence in Beipinggao, where they jumped over the fence of the rear garden and there found Wang Yuanwai. He told them that the highwaymen, numbering around twenty, were drunken in his guest hall. While peeping in, Shenru pushed Xunru into the hall and extinguished several candles by throwing a bunch of peas at them. Xunru leapt onto beam and taunted, the panicked bandits who had seemingly started fighting each other, saying, “So you still will not hand over your weapons and surrender? Gods number one and two are here.” Some tried to escape the frenzy, but were attacked by Shenru, who was still at the door. In the 1940s a man known as “Big Spear Liu” came to Shanghai’s “big world,” the city’s major performance and entertainment center. Liu asked the doorkeeper, “Are there any good hands around here?” In other words, he was seeking someone considered highly skilled in martial art in order to make a challenge. The doorkeeper told “Big Spear Liu” of Tian Zhaolin (student of Yang Jianhou). With that Liu set off to find him. He found Tian Zhaolin and immediately demanded to spar by each striking the other three times, to which Tian Zhaolin responded that it may not be necessary. He said, “Just let me touch you. If you can tolerate my touch, you win.” Liu, sensing a fool and an effortless victory, immediately agreed. The two men approached and Tian Zhaolin reached out his hand to touch Liu’s chest. Within a few moments, Liu’s facial muscles started to contort. Soon he grimaced and his face showed signs of intense pain. Spear Liu pulled away and, after recovering, commented, “I have traveled throughout five provinces and various cities but until today I have never seen such a profound skill.” Energy, including that of taijiquan, may be thought of as transmission by wave. Earlier generation adepts in taijiquan had an expression – “’hitting the cow on this side of the Mountain.” This phrase referred to hitting an opponent’s front side with the pain and effect being felt on the back side. In years past, people who sparred with Yang Shaohou often described him as also having an energy like electricity. That is, it caused very painful sensations in the muscle and even on the skin surface. Tian Zhaolin, coming from that background, also knew this method. In practice, traditionally there is no specific uniform required in the practice of t’ai chi ch’uan. Modern day practitioners usually wear comfortable, loose t-shirts and trousers made from breathable natural fabrics, that allow for free movement during practice. Despite this, t’ai chi ch’uan has become synonymous with “t’ai chi uniforms” or “kung fu uniforms” that usually comprise of loose-fitting traditional Chinese styled trousers and a long or short-sleeved shirt, with a Mandarin collar and buttoned with Chinese frog buttons. The long-sleeved variants are referred to as Northern-style uniforms, whilst the short-sleeved, Southern-style uniforms. 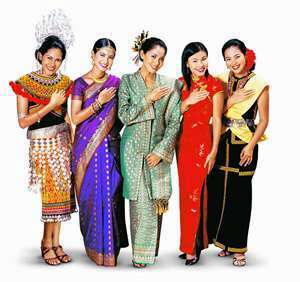 The colour of this clothing is usually, all white, all black, black & white, or any other colour, mostly being either all a single solid colour or a combination of 2 colours: one colour being the actual clothing and the binding being a contrasting colour. They are normally made from natural fabrics such as cotton or silk. These uniforms are not a requirement, but rather are usually worn by masters & professional practitioners during demonstrations, tournaments and other public exhibitions. Belt ranking is atypical to t’ai chi ch’uan, as there is no standardised ranking system in this martial art. Some t’ai chi ch’uan schools may present students with belts that depict an arbitrary rank, similar to dans in Japanese martial arts, however, this is merely for the sake of the students’ psychology, providing a sense of accomplishment as they progress in their practice and understanding of t’ai chi ch’uan. Even during wushu tournaments, where masters and grandmasters tend to wear “kung fu uniforms,” it is unusual to see them wearing belts, especially belts signifying any rank. T’ai chi ch’uan plays an important role in many martial arts and fighting action movies, series, novels, especially in those ones which belong to the wuxia genre, as well as in video games, trading cards games, etc. Fictional portrayals often refer to Zhang San Feng, who is reported to be the first one harnessing and operationalising the benefits of the ‘internal’ and the ‘soft’, and to the Taoist monasteries of Wudang Mountains, where he lived. As early as 1972, in Lady Whirlwind (aka Deep Thrust) starring Sammo Hung, one of the protagonists (Chang Yi in a rare good guy role) is initially severely beaten by Japanese Yakuza gangsters and left for dead, but afterwards he is taught t’ai chi ch’uan by an old man and it is this martial arts edge that enables him to take his revenge against the leader of the gang. In 1984, in Drunken Tai Chi, the protagonist (Donnie Yen in his first major role whose stardom culminated lately when he starred as Ip Man) befriends a puppeteer and is taught t’ai chi ch’uan by him and he combines it with his previous hard style, thus being able now to defeat a contract killer who was hired and sent against him and who used only a hard style. The title’s ‘drunken’ refers to the wine-loving protagonist and not to any variant of t’ai chi ch’uan. Ang Lee‘s first Western movie in 1992, Pushing Hands, features as its leading character a traditional Chinese t’ai chi ch’uan master moving to New York and having to get used to a different way of life and to a different group of there. A critical eye is laid upon whether t’ai chi ch’uan and martial arts in general can benefit or even fit someone in modern society, but the leading character seems to be safeguarding the need for this physical and cultural capital. In 1993, in a reproduction of a series mentioned below, the Kung Fu Cult Master (aka Kung Fu Master, The Evil Cult and The Lord of Wu Tang) starring Jet Li, Sammo Hung and Sharla Cheung, Jet Li with the help of Sammo Hung resembling Zhang San Feng in appearance realises and accepts the benefits of the ‘internal’ and the ‘soft’ and their complementarity if not their superiority to the ‘external’ and the ‘hard’ and manages to deal with opponents of various other martial arts. Also in 1993, The Tai Chi Master (aka Twin Warriors) starring Jet Li and Michelle Yeoh, Jet Li leaves behind the hard aspects of the Shaolin practises to which he was used when he was learning martial arts in the Shaolin Monastery and develops and even mentions explicitly the name of his new martial art, t’ai chi ch’uan, thus fighting and winning his old friend from the Shaolin Monastery but current evil military general. In 1994, Street Fighter II: The Animated Movie showed Chun-Li’s t’ai chi ch’uan in a much more obvious manner than seen in the video game mentioned below. In another reproduction in 2009, Street Fighter: The Legend of Chun-Li, the protagonist (Kristin Kreuk), is shown to practice barehand and sword t’ai chi ch’uan forms with her father (Edmund Chen) in their garden and to be using it extensively in her fights throughout the movie. In the semi-documentary film in 1996 The Tai Chi Boxer, Wu Jing enacts Yang Luchan showing how he managed to become the founder of the Yang-style t’ai chi ch’uan, although in this film Wu Jing’s t’ai chi ch’uan style actually seems to be Chen rather than Yang. In Ang Lee‘s 2000 film, Crouching Tiger, Hidden Dragon, starring Michelle Yeoh and Zhang Ziyi, various aspects of the fighting style and philosophy of t’ai chi ch’uan and of neijia in general are also dispersed although not explicitly acknowledged and the same is done in Zhang Yimou‘s 2004 romantic-wuxia film House of Flying Daggers. 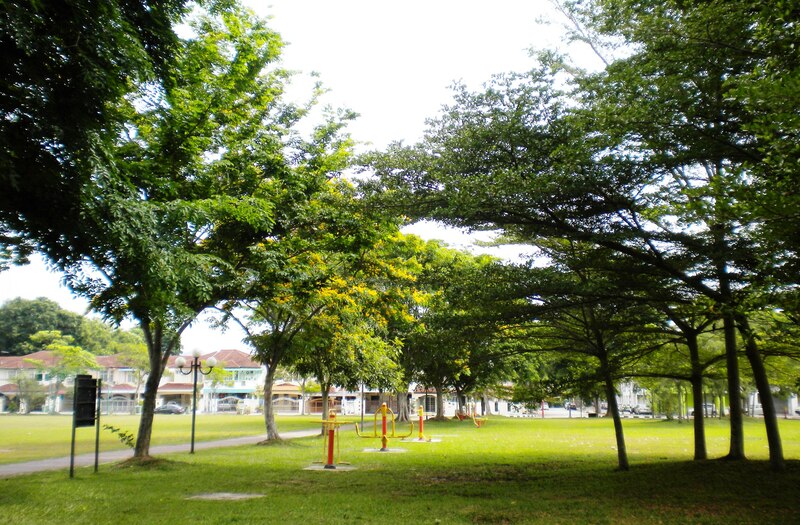 The 2001, Shaolin Soccer and the 2004, Kung Fu Hustle, through exaggeration, albeit perhaps genre-allowing one, have various concepts of internal and soft martial arts in general and t’ai chi ch’uan in particular, that may reach out a much wider and younger audience, but at the same time may run the risk of having t’ai chi ch’uan lose credibility and even ending up the subject of parody. In 2007, in Fatal Contact starring Wu Jing again, his best friend and co-fighter (Ronald Cheng) is a t’ai chi ch’uan master and Wu Jing realises and mentions it when he sees him fighting against many members of a gang in the underground. Jet Li is currently preparing his next film, again titled Tai Chi Master and again intended to provide a semi-documentary account of Yang Luchan, the founded of Yang-style t’ai chi ch’uan. In the opening scenes of the 2008 blockbuster Ip Man (martial arts choreographed by Sammo Hung and starred by Donnie Yen as Ip Man), a young guy credited to t’ai chi ch’uan’s ‘4 taels to move 1000 catties’, the victory of Ip Man against a martial arts school owner who came to challenge him and lost easily, a match that he had the privilege to watch secretly while picking up his kite from Ip Man’s garden, although his friends insist that this cannot have been the case in so far as Ip Man was known for using Wing Chun and not t’ai chi ch’uan. The 2008 film Wushu (produced by Jackie Chan and starred by Sammo Hung) strangely enough, does not have t’ai chi ch’uan represented by any of the protagonists, as opposed to other ‘categories’ of wushu, such as sanda fighting and various short and long weapons forms. October 2012 saw the release of Tai Chi 0 (aka Tai Chi Zero) in 3D, a fictionalised portrayal of Yang Luchan learning t’ai chi ch’uan in the Chen village, which although true, in reality was not for the purpose of him saving the village from a railroad or otherwise. In the 1980 Hong Kong television series Tai Chi Master, the story evolves around a young man (Alex Man), who starts as a young monk from Shaolin Monastery but soon develops knowledge and skills of t’ai chi ch’uan and goes around with an endless number of fights and adventures. The popularity of the Tai Chi Master series spawned in 1981 the direct Chinese knight-errant sequel Tai Chi Master II, which shares the same action director, Yuen Wo Ping, with The Matrix trilogy, Kill Bill 1 and 2 and Ang Lee‘s Crouching Tiger, Hidden Dragon, and in which the protagonist, Wu Jing, uses his t’ai chi ch’uan to fight the villains of the story. T’ai chi ch’uan is also the basis for the elemental art of Waterbending in the 2005-2008 animated television series Avatar: The Last Airbender and in the new 2012 animated series The Legend of Korra. Kung fu icon Vincent Zhao, in which his specialty is t’ai chi ch’uan, stars in the 2008 Hong Kong television drama The Master of Tai Chi. In the Star Trek franchise, the Klingon martial art moQbara’ (mok’bara) is based entirely on t’ai chi ch’uan, and is even mentioned in-series as being similar. In the Street Fighter martial arts video game series, Chun-Li uses a variant of t’ai chi ch’uan. Mortal Kombat: Deadly Alliance introduced Kenshi, a blind warrior who uses t’ai chi ch’uan as his primary fighting style. Kenshi is also seen practicing t’ai chi ch’uan forms in the ending credits after the single player arcade mode is completed. Mortal Kombat: Deadly Alliance also introduced Li Mei, who in her bio-card has her hands in a posture representing the symbol Taijitu and who uses a variant of t’ai chi ch’uan as well. A closer variant of t’ai chi ch’uan is used by the Tekken character Ling Xiaoyu, introduced in Tekken 3 and Tekken Tag Tournament. In Dead or Alive, Leifang uses t’ai chi ch’uan and this is also mentioned in her bio-card. 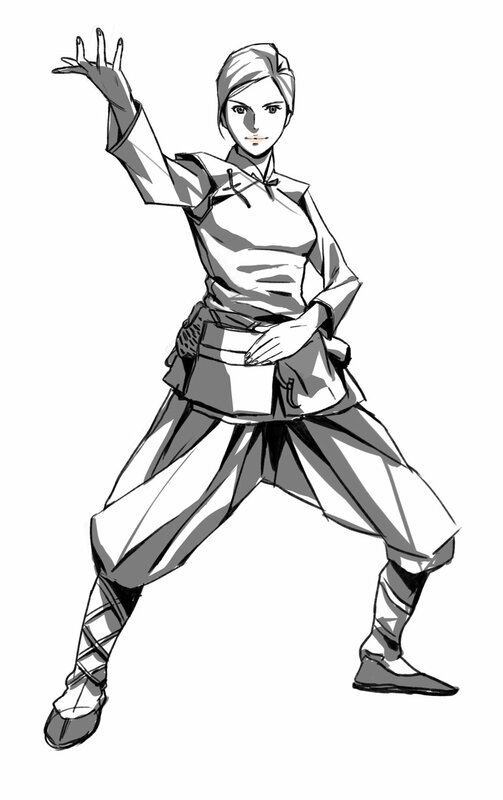 Before fighting some of her opponents, Leifang gets ready by doing some t’ai chi ch’uan moves such as the ‘immortal pounds mortar’ one, so one could say that she uses Chen-style t’ai chi ch’uan in particular. In the Yu-Gi-Oh! anime show and trading card game, t’ai chi ch’uan is used by the Tai Chi Fighter Monkey, as it is mentioned in his bio-card.